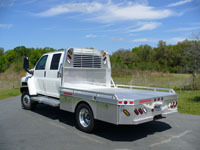 ALUMNE Trailer and Truck Bodies. 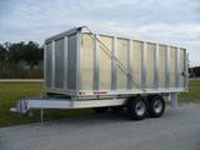 Alumne is leading in the All-Aluminum trailer and truck body manufacturing industry. Led with an agricultural background, Alumne has been innovative for many years. Due to increased media visibility and a new marketing campaign, interest has been growing steadily from customers and dealers. Alumne has outgrown its manufacturing facility three times since it was started. Why are we growing so fast? The reason is simple. We are a superior company using a superior material and superior designs to make a superior product. Alumne has a track record of customer service, expertise, and quality. Our designs are tested in the field and constantly upgraded and re-engineered with new technology and materials for superior performance. We never miss an opportunity to stand our product next to our competition and we are happy to arrange in-person visits to our design center. A lot! We have been designing and re-designing products for new and improved features. And while we have always been busy with the landscaping industry, our work with the racing and livestock industry has been growing steadily. 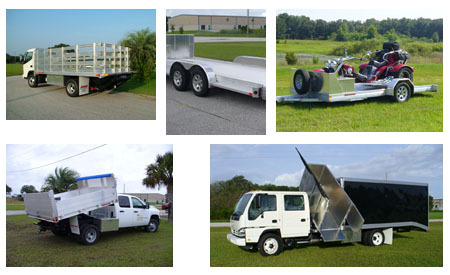 Whether it's for leisure use, every day use, or commercial use, Alumne Truck Bodies are built to withstand the harshest abuse and still look sleek and professional. 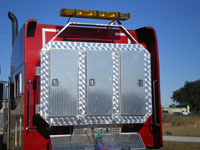 Alumne offers a variety of state-of-the-art aluminum accessories for truck bodies and trailers. 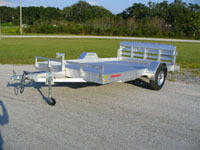 Check out our truck and trailer parts and accessories. COMING SOON! Alumne has special offers of select products. Check out special discounts on select products. COMING SOON!